Run your business from your desktop or mobile device! The DREAMER includes access to the following modules and features. Register now for FREE! Ability to set certain prospects for yourself as well as manage them. Tasks which includes that which you set for yourself as well as for other employees within your company. This feature also provides an overview of your tasks such as those commenced, completed, overdue and new tasks in the form of gauges. Added benefit is the problem/error feature that provides you with the ability to keep to deadlines. Quick access to clients, stock, quotes and invoices. This module can be used by you to manage your personnel more effectively and efficiently. 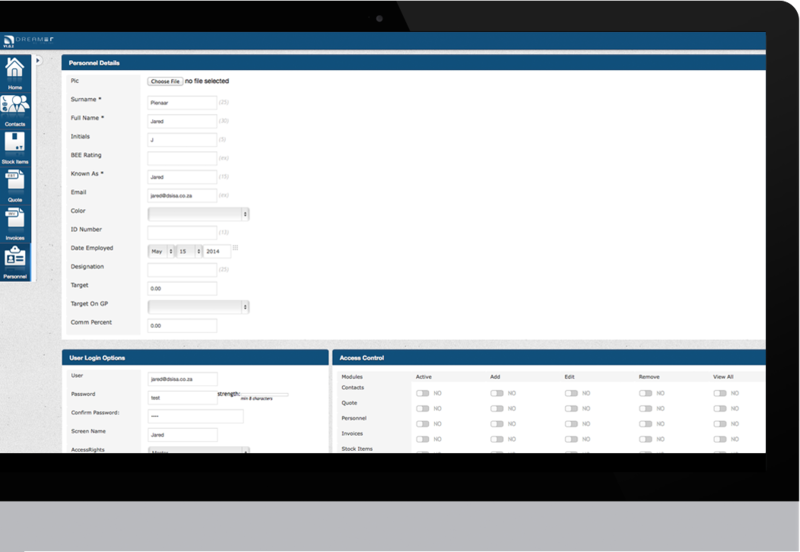 All personnel details can be loaded onto the system and be used as a database. 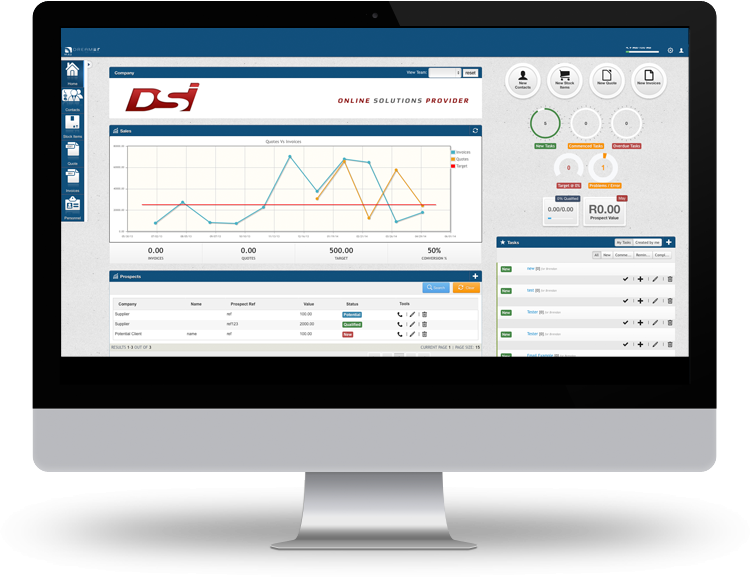 This module also serves as a managing tool where you can manage the access to the system of each employee. 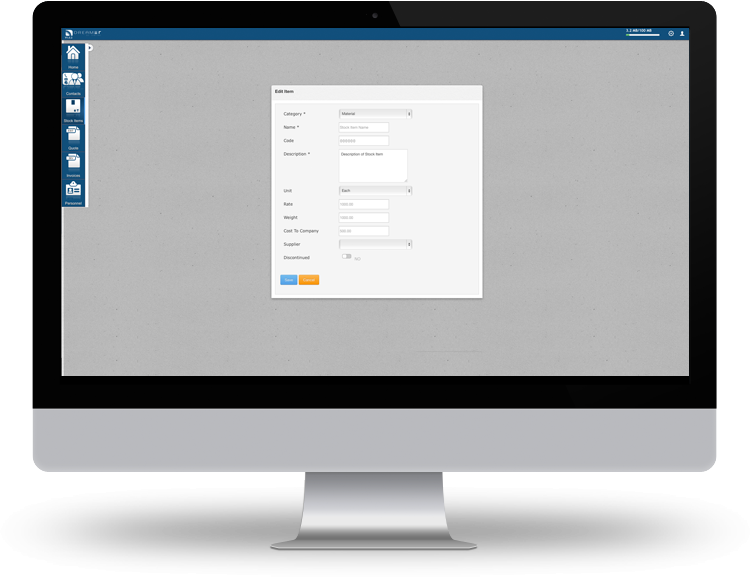 Using this module, you will be able to load all of your contacts on to the system including all of their details. This will provide you with the prospect of a database of all of your contacts which will be used to communicate with them should you use any of the other modules and features. All client information is drawn from this list when used in other modules. This module also enables you to distinguish between your contacts by categorization: Customer, Potential and Suppliers. It also includes an added search function benefit for better optimization. This module provides you with the ability to manage your stock (referring to either products or services offered by your company) more efficiently. 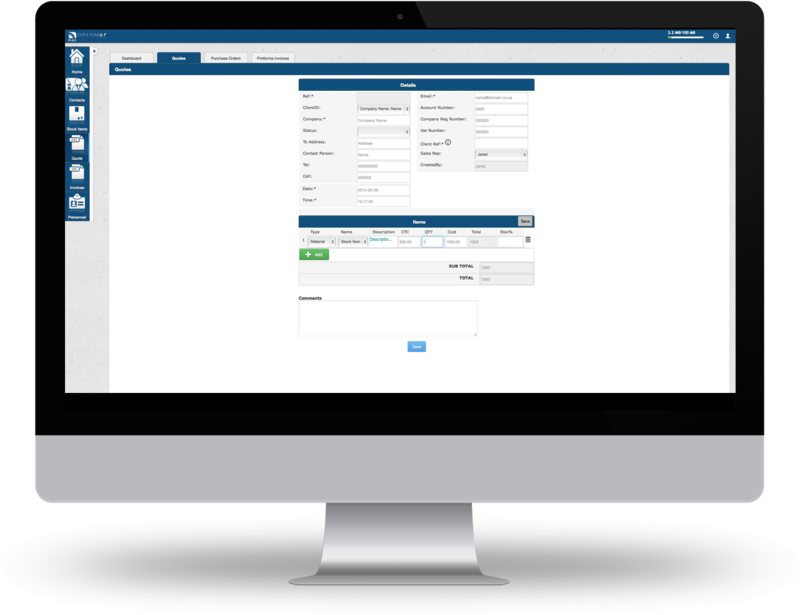 You can render cost categories and assign certain materials to them as well as track costs to the company and utilize stock categories and materials on quotes and invoices. Search and filter function for better optimization of the lists which includes the quotes, purchase orders and proforma invoices. Search and filter function for better optimization of the lists which includes the invoices, company expenses as well as reoccurring invoices and credit notes.